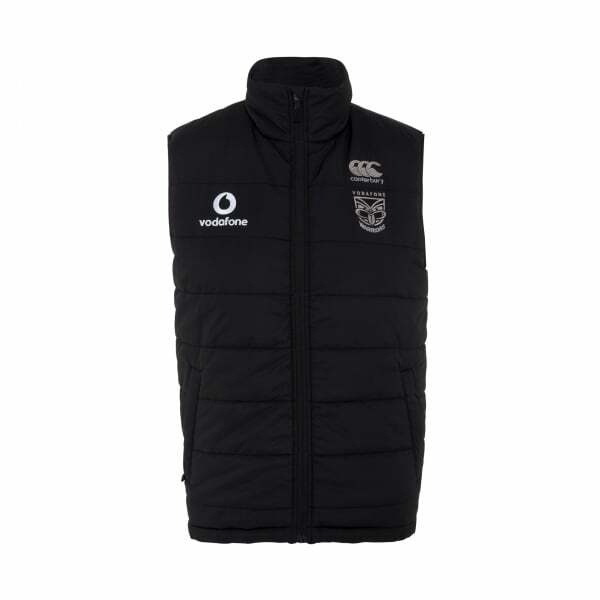 A staple for every active supporter’s wardrobe, our Thermoreg Padded Gilet will keep your core warm whatever you’re doing, while showing your support for New Zealand’s iconic NRL team. Thermoreg transfix at left front hem. Canterbury’s Thermoreg Padded Gilet is made from 100% Polyester pongee and is designed to keep your core warm whatever you’re doing outdoors. Incorporating our patented Thermoreg technology which encourages heat retention and thermo regulation, this quality gilet provides optimum comfort and support, and helps to maintain your core body temperature in all sorts of challenging conditions. Complete with embroidered team and sponsor logos, it also declares your allegiance to the Vodafone Warriors and your membership of the Canterbury team of players and supporters. A staple for every active NRL supporter, get yours while stocks last, instore or online at Canterbury.